Mozambique is synonomous with good food, sandy white beaches and excellent diving and snorkelling. With a 2500 km long coastline and numerous islands, Mozambique is the ideal snorkelling destination. The ocean water is subject to the warm Agulhas current, and even beginners can experience amazing underwater sights. There are some well known reefs, but plenty of relatively unknown spots waiting to be explored! There is, of course, the ever popular Tofo and Barra Peninsula where you may be treated to a rare sighting of a Manta Ray or Whale Shark. Blue Footprints Eco-lodge is a lovely small lodge suitably located in this area. 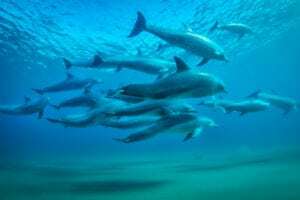 Or you may choose to share your snorkelling experience with dolphins if you venture south of Maputo. White Pearl Resorts offers superior accommodation in 22 Pool Villas overlooking a sandy white beach. 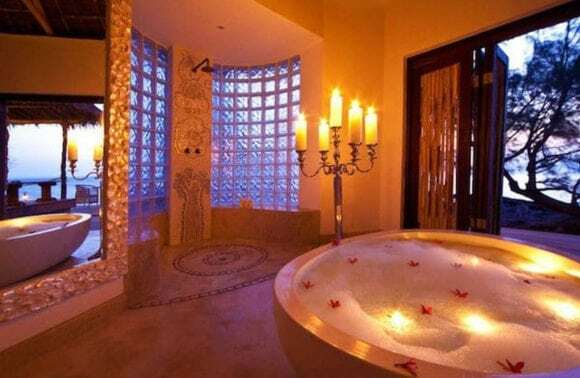 Each Villa has it’s own private plunge pool. Ocean safaris offer the opportunity to venture into the ocean and find a pod of friendly bottle nose dolphins to entertain you. 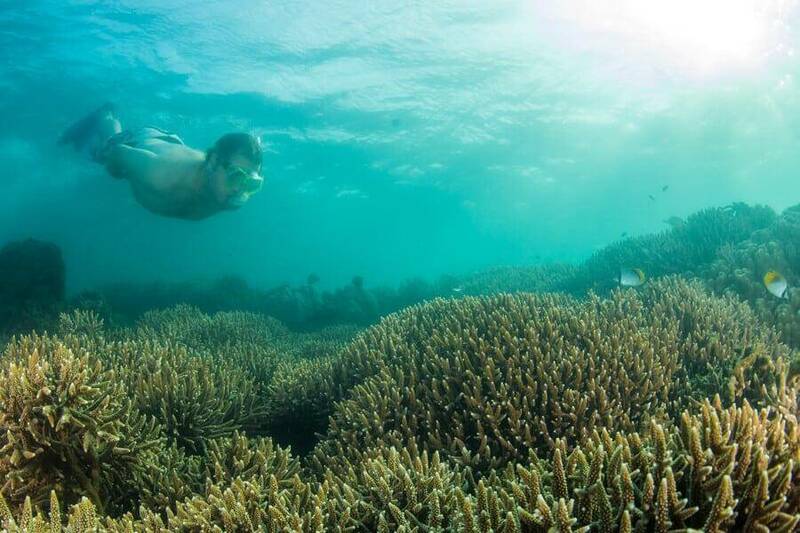 Make sure you cross this truly unique snorkelling experience off your bucket list! 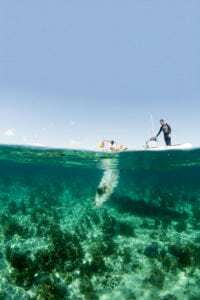 Vilankulo (also called Vilanculos) is gateway to the the idyllic Bazaruto Islands which offer extraordinary snorkelling experiences, in warm waters close to a small selection of luxury hotels and resorts. 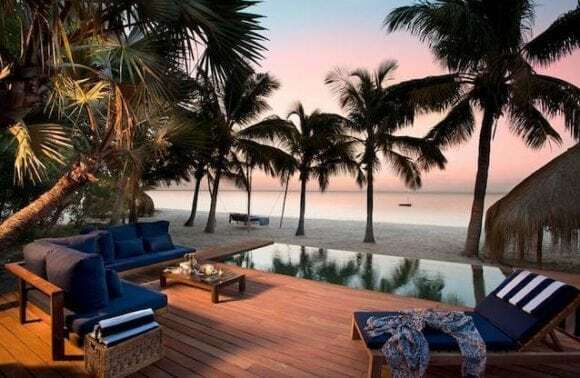 Anantara Bazaruto Island Resort & Spa, one of the top luxury hotels in Mozambique, has a fully equipped PADI centre and as a guest you will be offered complimentary snorkelling at Neptune’s Nursery. Enjoy diving or snorkelling at 12 Mile Reef and Two Mile reef in the Bazaruto Archipelago. Both reefs are accessed by &Beyond Benguerra Lodge and Azura Benguerra Retreat, two of the most upmarket luxury resorts in Mozambique. Why not combine your snorkelling excursion with a luxury picnic on nearby Pansy Island? In the Quirimbas Archipelago, in keeping with the uninhabited nature of the island, Azura Quilálea has a relaxed and understated ‘Robinson Crusoe’ castaway style that belies the luxury on offer. The attention to detail is apparent in the design and décor and the overall ‘wow’ factor of this unique island experience. All 9 Villas have direct access to the ocean and house reefs. The diving and snorkeling is truly superb, and is home to the rare oscillated lion fish among a wide variety of other fish and corals. The relatively unknown Nampula Province, 2000 km North of Maputo is home to Ossimba Beach Lodge, where the diving and snorkeling is truly amazing. The area is unspoilt and accommodation options are few and far between, but well worth the longer airport transfer times. The lodge is small with only 8 beautifully furnished sea-view chalets. Nuarro Lodge in Nampula is an eco-lodge offering comfortable chalets on one of the most beautiful beaches in Mozambique. The dive centre is top notch and offers glow diving! Fluorescent or “Fluo” diving has recently taken the diving community by storm and Nuarro is the only dive centre in Mozambique to offer this. Nuarro Bay is a dream for snorkelers with a beautiful coral reef just a short swim from the beach. Enupa Reef (house reef), is approx 100m swim and from 4 to 12m deep and is part of the Nuarro Marine Reserve. This is an easy and relax snorkel where you can spend lots of time around 5m or venture down to 12m. Fish Alley, accessed by boat is from 3 to 30m (in places sheer wall drops to 60m+) and offers suitable conditions for all levels of divers and snorkelers. It is an ideal place to go when part of the group wants to dive and others want to snorkel. Everyone will leave the water with smiles on their faces! Even the shallowest part has colourful coral bommies, sea grass and the top of the wall. Garden eels, cowries, ribbon eels, gobies, sand perches, mullets and puffers are found. This is a site where many fish come to visit cleaning stations; lyre tail and saddle back hog-fish are usually seen as well as the Indian and African sand wrasse. 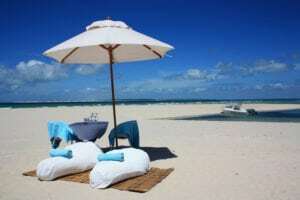 Mozambique Islands offers guaranteed best rates at all these and other resorts in Mozambique. We can tailor make the perfect package for your next Mozambique holiday. Contact us now. PreviousOur Top 5 spots in Mozambique for Unique Honeymoon Treats !